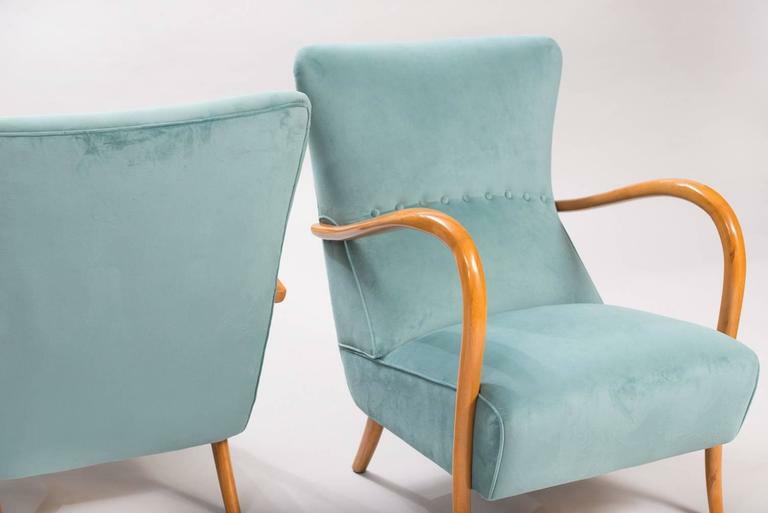 Pair of armchairs, re-upholstered in blue velvet. 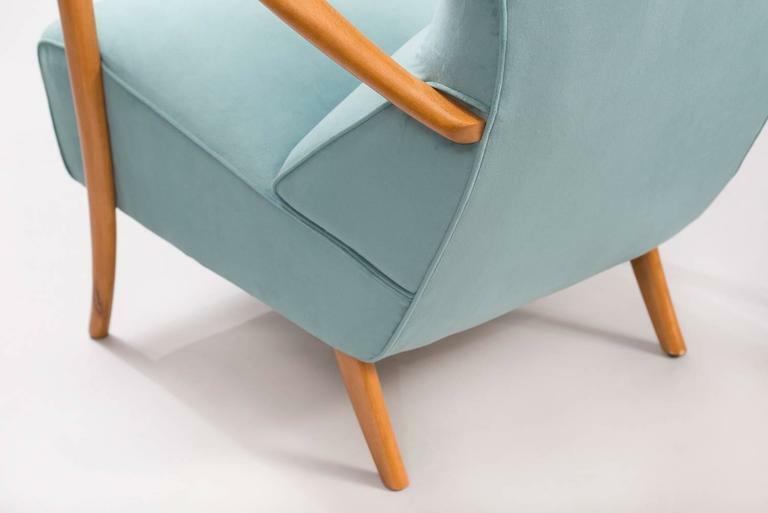 Fully restored piece, hand-made varnished by our own team of craftsmen, new upholstery. A pair of armchairs in wood and black painted metal, re-upholstered in grey velvet. Pair of armchairs reupholstered in yellow and grey velvet. Mid-Century Modern Danish massive rosewood armchairs, one pair. This items are in original condition, can be sold as they are or fully restored. 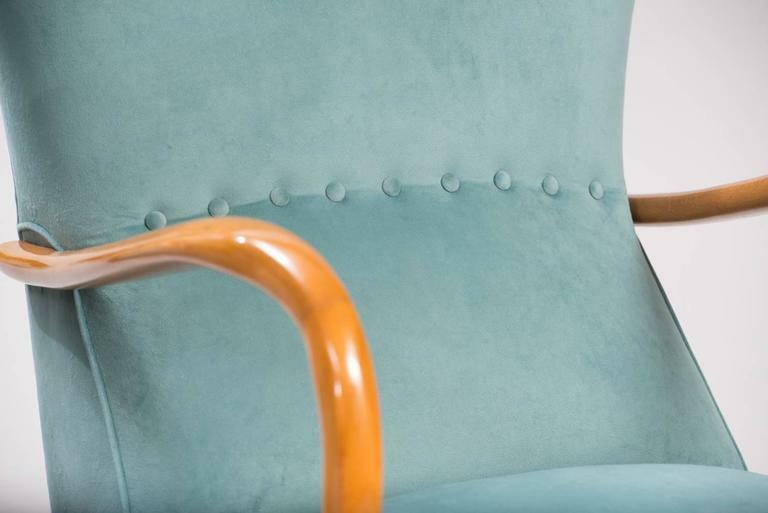 Pair of molded wood armchairs in walnut veneer reupholstered in warm grey velvet. 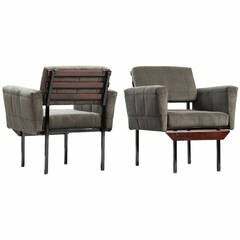 A pair of Cubist Italian armchairs with grey upholstery and black trim, black lacquered wrought iron frame, in the style of Oscar Gigante, circa 1960, Italy. 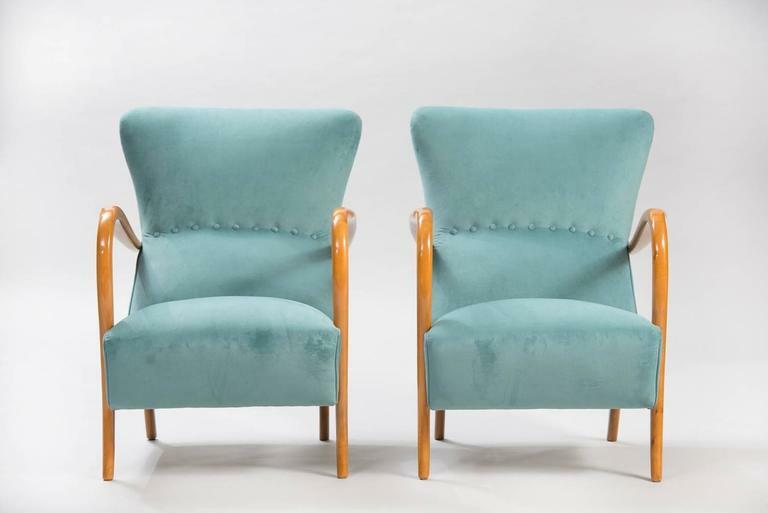 A pair of Italian vintage armchairs edited in the 1950s. Brass feet and fabric. Reupholstery. Excellent condition. 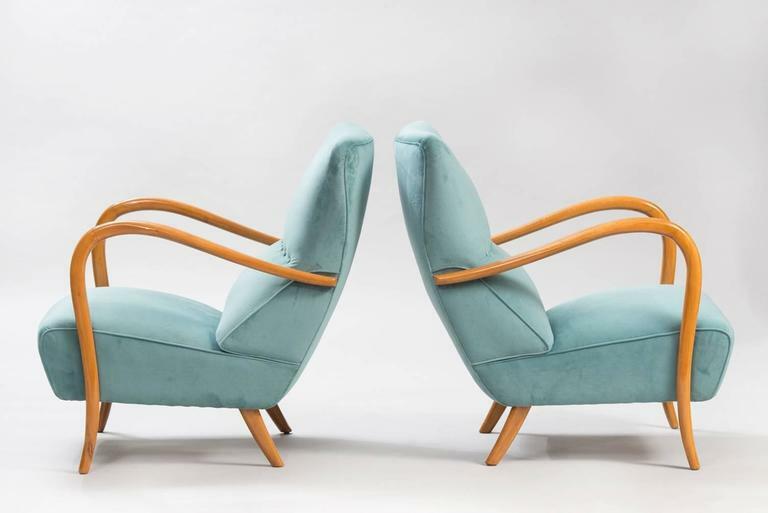 Pair of vintage Mid-Century Modern Italian lounge chairs. 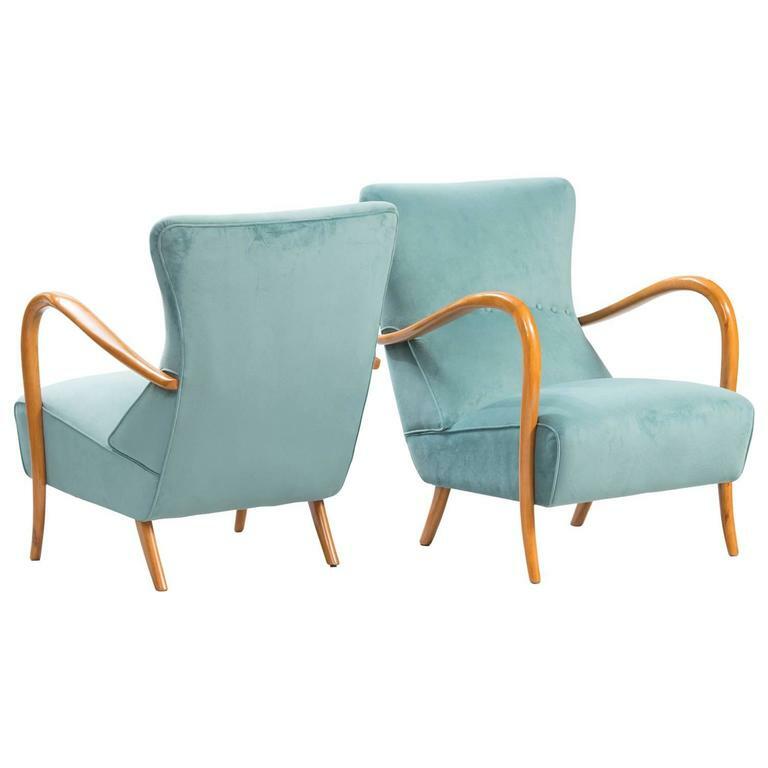 Pair of Mid-Century Modern swivel armchairs, circa 1960s. 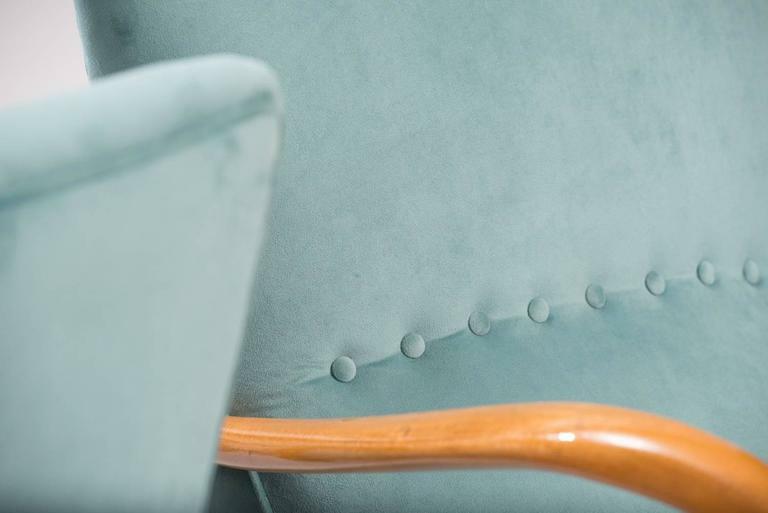 A vintage set of chairs in the manner of Marco Zanuso, but offer a refreshing change from the curved arms of his Lady chair. Just reupholstered in purple velvet.